Fun! Fun! 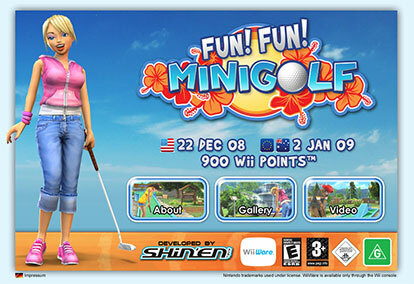 Minigolf is a single- and multiplayer minigolf game. It takes full advantage of the unique Wii features. Fun! Fun! Minigolf features 27 holes spread across America, Asia and Europe. Fun! Fun! Minigolf is suited for all age groups.